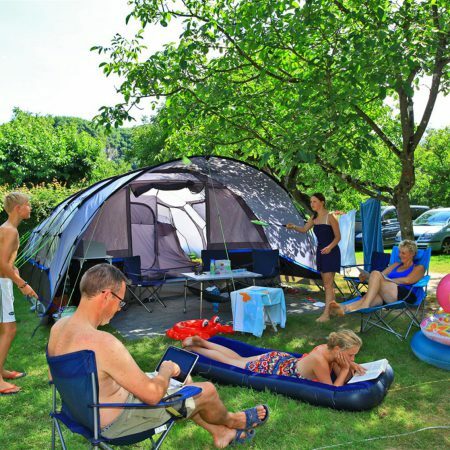 With 147 camping pitches, 9 chalets, 6 mobilhomes and 6 cottages, Camping La Bouysse has managed to preserve the real camping spirit. It offers a wide choice of delimited, spacious (100 m²) and shady camping pitches, for an unforgettable time for lovers of “real camping”. 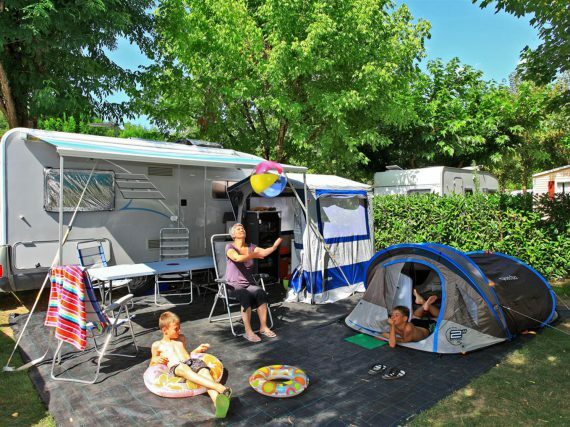 In a preserved nature, the campsite welcomes you near Sarlat. Install your tent, caravan or camper van on one of the 147 camping pitches. The pitches are spacious (about 100m² ) shady and delimited by small hedges. They are provided with an electric hook-up (10 amp) and water taps nearby. Barbecues (electric, gas or charcoal) can be used on the camping pitches. Camper van owners can make use of a service point allowing them to empty their waste water and fill up their drinking water. Easy access for camper vans on spacious, and stabilised pitches of 100 m². Two disabled access sanitary blocks are available, as well as a cabin for babies with bathtub and changing table, ideal for families. Remenber to bring an electric extension lead of at last 10 meters.